On March 5th, 2013 Square Enix released Tomb Raider, billed as a reboot of the franchise. In Tomb Raider, the player is confronted with a much younger Lara Croft who is shipwrecked and finds herself stranded on a mysterious island rife with danger, both natural and human. 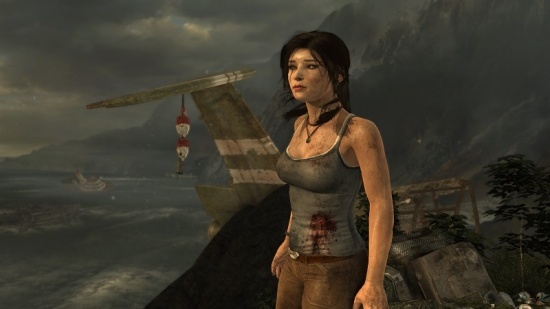 In contrast to the earlier games Croft is portrayed as vulnerable, acting out of necessity, desperation and sheer survival rather than for a greater cause or personal gain. The game has been built on Crystal Dynamics’s game engine called the “Crystal Engine” and the graphics look fantastic. AMD and Crystal Dyanmic’s worked on a new technology called TressFX Hair, which AMD describes as “the world’s first in-game implementation of a real-time, per-strand hair physics system” for this game title. 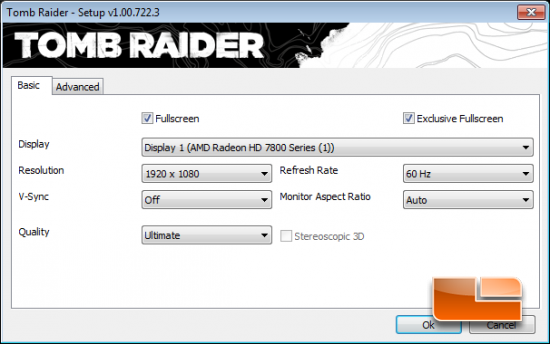 We set the image quality to ultimate for benchmarking, but we disabled TressFX Hair under the advanced tab to be fair to NVIDIA graphics cards that don’t support the feature. 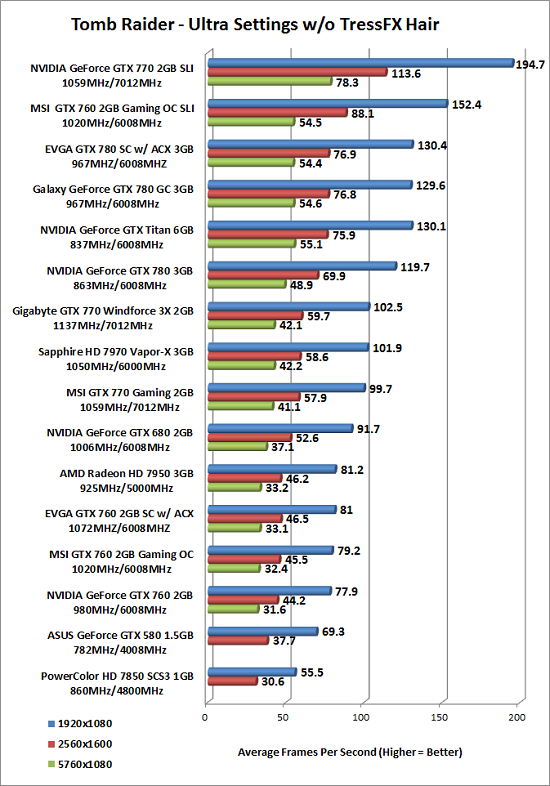 Benchmark Results: The EVGA GeForce GTX 760 2GB Superclocked with ACX Cooling was performing right with the AMD Radeon HD 7950 in the new Tomb Raider at all three resolutions that we benchmarked the card at.